Star Trek Into Darkness (2013) Directed by:J.J. Abrams. Writers:Roberto Orci, Alex Kurtzman, and Damon Lindelof. 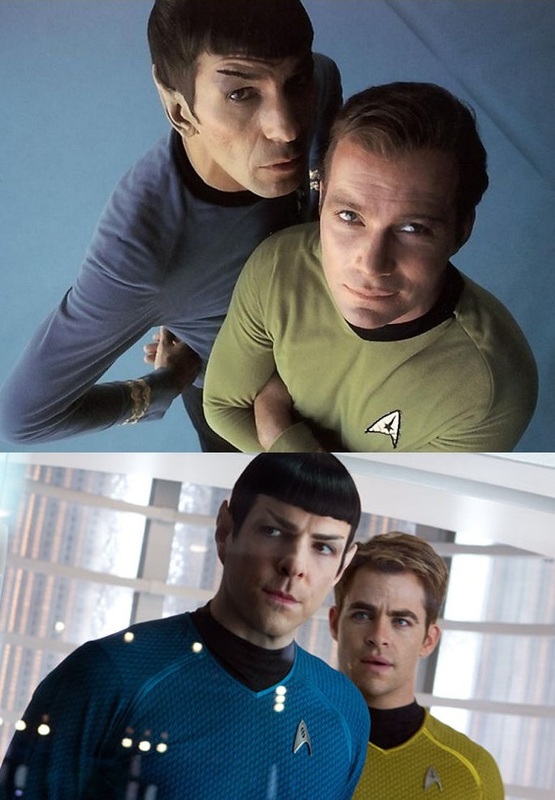 Stars:Chris Pine, Zachary Quinto, Zoe Saldana, Benedict Cumberbatch. This review contains a big spoiler; if you haven’t seen this film and want to see it and be surprised stop reading now, and come back after seeing the movie. Star Trek Into Darkness is a big budget block buster film, chock full of explosions and intrigue, but it doesn’t have the luxury of existing in a bubble: it’s a film that’s deeply connected to all things Trek. It has a pop cultural context that it’s working with; this pop cultural context greatly impacts the film and its story. 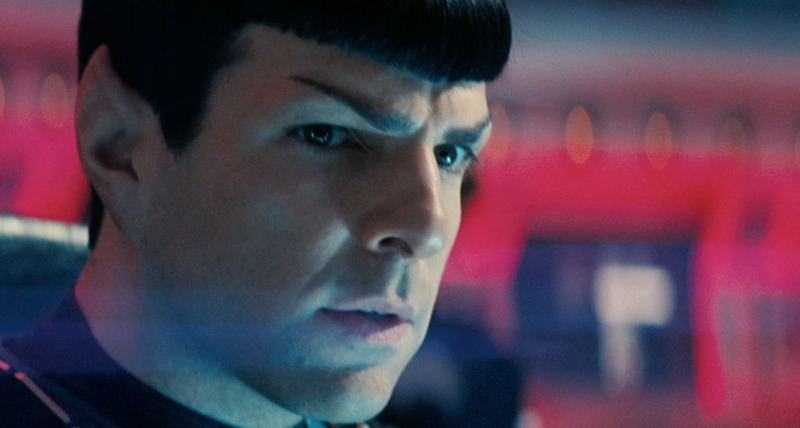 This year’s Star Trek is the twelfth Star Trek film in the franchise. In Star Trek II The Wrath of Khan the alien crew member Mr. Spock (Leonard Nimoy) sacrifices himself to save his friends and the entire crew of the Starship Enterprise, logically believing that “the needs of the many outway the needs of the few ... or the one.” He is given a funeral with Amazing Grace played throughout the Ship and is torpedoed onto the face of a planet that was being given the name Genesis, because it was turned into a paradise from a hunk of lifeless rock by some clever science. Earlier in the film McCoy, the Ship’s doctor, is bemused when he is shown the report about this new scientific discovery. In a conversation about the moral implications of using this new device, McCoy says “According to myth, the Earth was created in six days. Now, watch out! Here comes Genesis! We'll do it for you in six minutes!” In Star Trek III The Search for Spock, the same alien science officer who sacrificed himself to save others is brought back to life from the dead and is rescued by the help of his friends. Star Trek, to a certain extent, has always had religious themes and content, even some of its broader existential questions are reactionary investigations driven by a materialist world view. Star Trek has always had a complicated relationship with Religion. Christianity in particular hasn’t always fared well in the almost four decades of Star Trek Sci-Fi fiction. Whether it’s films or in TV Star Trek tends to favour a pluralistic and inclusive view of religion while bristling at the key aspect of Christianity, namely Jesus’ exclusive statement about Himself, “I am the way, and the truth, and the life. No one comes to the Father except through Me.” Gene Roddenberry, the original creator of the popular series, was a humanist and an agnostic and he envisioned a future where humans had no boundaries of any kind. Where there would be no gender or class or race or religious impediments to the development of humanity in the universe. His concepts of a Federation of Planets and Starfleet more resemble the United Nations and the Peace Core than it resembles the American Republic and the U.S. Armed forces and this is where the ideological and philosophical tensions are found in the new film Star Trek Into Darkness. It’s important to note that J.J. Abrams isn’t a Christian, he’s married to one but he considers himself to be Jewish, his writing team on this film often weave religious themes and allusions into their work. So it isn’t surprising to see Christian elements in this film. 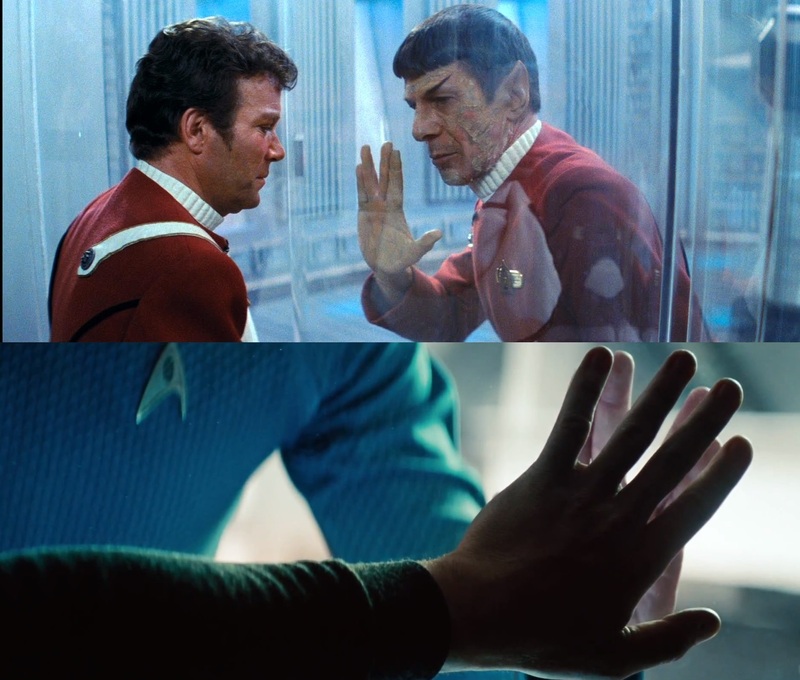 But again there is a complex relationship at work in the writing; the film opens with a depiction of a Cargo Cult created by Kirk breaking the Starfleet Prime Directive, this is in keeping with Roddenberry’s view of religion, but then we get lines of dialogue that casually refer to God, like when an Admiral reprimanding Captain Kirk says “You think the rules don’t apply to you because you don’t agree with them. Worse, you’ve used dumb luck to justify playing God. You’re not ready for the chair because you don’t respect it,” or when the Chief Engineer, Mr. Scott says to Kirk, “For the love of God, don't use those torpedoes.” In the previous film, written by Orci and Kurtzman, Star Fleet Academy Students upon receiving their commissions and assignments in the midst of an emergency are blessed with the parting phrase “Welcome to Starfleet. Godspeed,” plus there are repeated mentions of christening the star ship Enterprise; this comes up again in Star Trek Into Darkness. The Navel tradition of christening ships is drawn from the Christian sacrament of Baptism where the Christian is baptised into the life, death and resurrection of Christ Jesus. It’s hard to say how comfortable the agnostic Rodenberry would have been with the christening language in the recent Star Trek films. 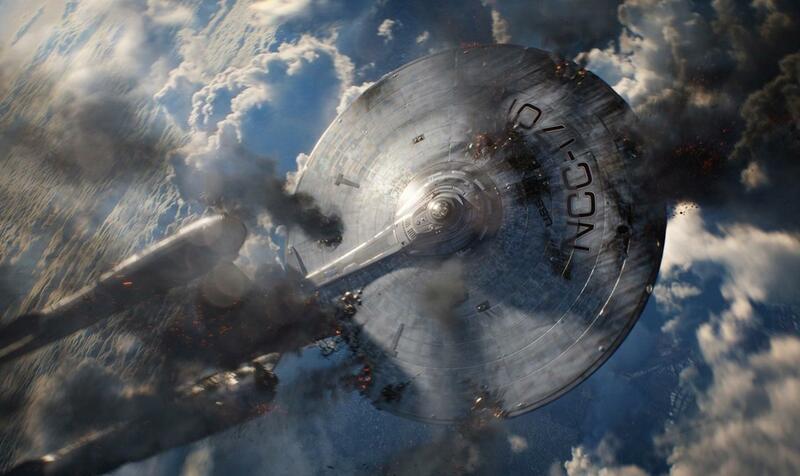 As a film Star Trek Into Darkness is bigger faster and more complex than many other Star Trek films. It does revisit classic Trek questions concerning the crew’s role in fulfilling their mission; are they to only be explorers or are they invested with military responsibilities; if both how do these competing responsibilities resolve themselves in the story. This is the reason for the films name Into Darkness, the question is whether the crew will match the terrorism of the enemy with terrorism of its own and in so doing be tempted into the same darkness inhabited by the villain of the film. Will they give up their soul for revenge or is vengeance part of their work? The villain in this film, played by Benedict Cumberbatch, is both literally and figuratively stronger than villains in previous Trek films. The central character of Kirk is written with amoral blind spots and character faults in keeping with the history of this fictional character, these provide some of content that makes this film inappropriate for young viewers. He is however a character who is shown learning from his mistakes, although it’s safe to say he’s a slow learner. If you’re a Star Trek fan there’s lots to love in this film and if you’re just looking for a compelling summer blockbuster with a bit of intrigue and some hard hitting action you likewise won’t be disappointed.